What an amazing refuge on 122 acres with unobstructed Intermediate Lake views and brilliant sunsets. Custom built home, diverse acreage, a beautiful barn plus a pole barn with heated workshop, this property has a little bit of everything! The open great room with wall of windows creates the perfect view of the lake and allows lots of natural light. Convenience of main floor living, plus a walk out lower level. 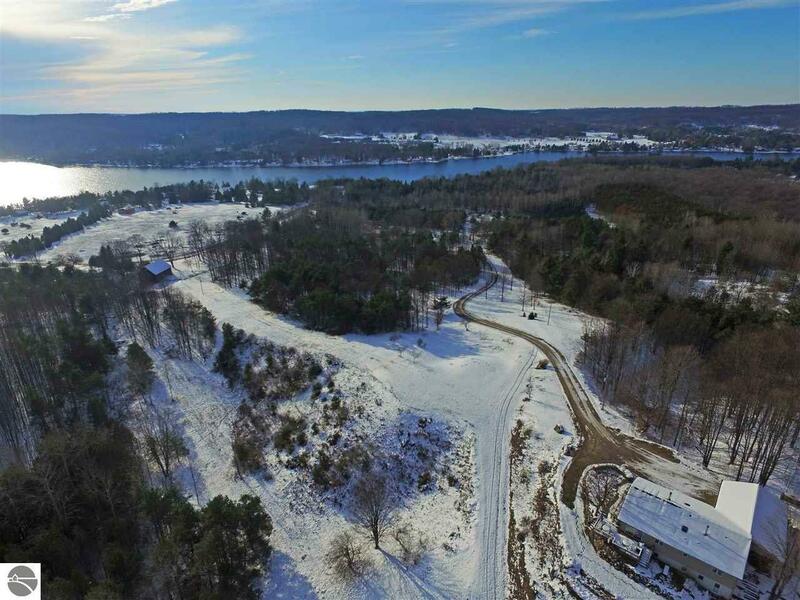 Beautiful acreage includes mineral rights, with trails throughout the hardwoods, pines and open meadows and past the ponds. A hunter or nature lover's paradise, teeming with wildlife. Peaceful private setting yet just a few miles to the charming town of Central Lake with shopping, restaurants and small town festivals that will become part of your family traditions. Priced to sell.